I live in Mexico and the school where I will be using circuit lab does not have stable internet access, it goes on and off several times making use of internet not viable. 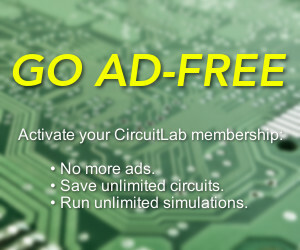 Is there a way to install circuit lab in my computer for offline use? Thank you for your time! Thank you for your answer. I searched a little and fount out that it can be used as an offline app on google chrome. It was released on 2013 but seems to work fine. I will take a look to the website you posted. Thanks again, have a good one.